Clown, “presented” by notable horror director Eli Roth and written-directed by Cop Car and future Spider-Man: Homecoming director Jon Watts, has gotten a U.S. VOD and limited theatrical release after two years. 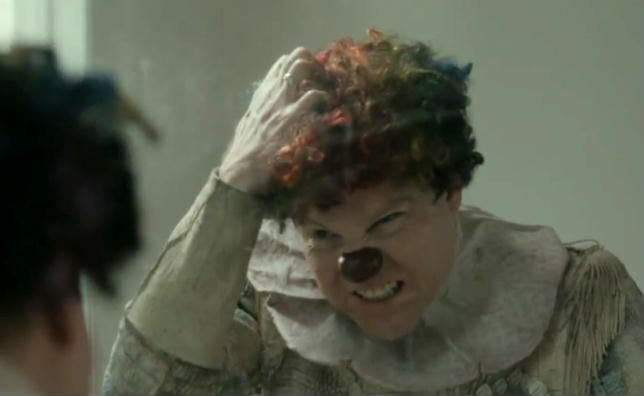 The film was made and premiered prior to Watt’s last year’s critical darling Cop Car, and it is a psychological horror film involving everyone’s favorite terrorizing force: Clowns. Age of Cannibals follows two German business consultants on a business trip in Lagos, Nigeria. While moving about their hotel, they try to convince a businessman to move his resources from India to Pakistan, deal with a new, young co-worker, and brashly handle cultural differences. Aufdruck (stylized AUFDRUCK or LABEL) is a short film from independent filmmaker Jaschar L Marktanner. It is a film shot in elegant black and white that features a plunking piano score, a score which plods along with the conversation of two women (Mary Krasnoperova and Kira Mathis) at a restaurant. Charlie (Josephine Japy) lives in a household demarcated by fighting parents. She hears her mother sob at night. At school, she becomes quietly fascinated by new student Sarah (Lou de Laage). Sarah is more impulsive, more charismatic than Charlie. They are foils, and yet their chemistry is instantaneous. Paranormal Activity: The Marked Ones is the fifth installment of the Paranormal Activity franchise, although it is not a direct sequel. It is a spin-off of the franchise, its characters not directly involved with the rest of the series. As such, it is not to be confused with the upcoming Paranormal Activity 5: The Ghost Dimension. 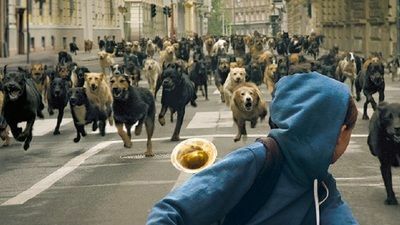 In the Hungarian film White God, young Lili’s (Zsofia Psotta) mixed-breed dog Hagen (Body and Luke) is abandoned by her overbearing father (Sandor Zsoter) and left for dead. Now a stray, Hagen wanders the streets fruitlessly searching for his owner, only to find himself among a group of other strays who run about the city avoiding the human world that has rejected them.